You can not take Abune Abreham unless you want another division on E.O.T.Church. This is not the right time. I do not think Abune Fanuel will be welcomed in USA at the current time. Doing that may cause another division between E.O.T. churches in US. I strongly recommend the E.O.T.C Synods review the case and make a dissection ASAP. Is it really to help our church our to creat some topic for some time without serving our people that Abune Fanuel is assigned? I don't know why always some controversy is created at the end?! Do they really understand what he is doing here in the US and what people feel about Abune Fanuel! If there is agenda still they should recondider this decision! How come the Holy Synod decide that the so called "Abune" Fanuel come to DC????? It is unbelievable. He will kill church here in Washington DC. It looks like the Awassa strategy is coming back here! Be aware all!!! We should be courious !!! Thanks DS for the news. I think this decision will have an adverse impact on the Church service here in USA. Though it is always a right way to respect Holy Synod's decisions, those fathers like Abune Fanuel should get their lesson learned. No one will allow this father to abuse our Church any more. We respect your authority but will never allow you to play the usual game you are good at dear father! Welcome to USA as it is in some way good for the Church at home. Dejeselam should verify its news. Because according to yesterdays news the Holy Synode decided to wait until next Synod meeting to see the issue of the Bishops here in the USA. So what happened to that decision and out of the blue we see different story. There is a bargain behind the seen. I totally disagreee with DS the way the article is framed about Abune Fanuel. Let's first see what he is doing to unite one tewahedo. We now know abune Abrham was not successful to unite the church rather he marginalized by saying 'geleltegna','adarash', empire, bla,bla.That is not what any church father supposed to do. We want a leader who is able to unite us not who divide us.We have plenty of people who can divide us. In my opinion abune Fanuel is the right person to substitue both fathers for he understands the geography,the climate and other issues here in USA.Let us help the new appointee to be successful in uniting the church. I urge all my brothers and sisters not to rush for negative comments. Let's be optimistic. Can you take off the picture of this guy from the front page, please? I think this is the biggest mistake Kidus Siynodos made. Specailly sending Aba Fanuel to North America. Why what is their plan to distract the church again?? we know aba fanuel has been a wrong choic for Awassa, then menfesawi college. Now how come they assign him again to America. As far as the church concren "this is it" that will be the it the union of our church is dead completley. Aba fanue never bring peach in our church, instead he will devide every church from one another. For that reason, I personaly gave up, let our God do something we have tried a good fight to show the even doers, however even the church fathers gave up the fight and gave the whole thing to them to do the way they want it. On the news yesterday, the so called forigne affir office will be closed and now assign Aba fanuel to DC what do you mean? do you thing you have some work which contradict one another. Who is the person stablish this office in the first place is it not Aba fanue? yet again he is assigned to where he stabilish? it's "shame on holy synodos members" I gusse now it's God's work he wanted us to rais on each other becouse of our sin yet again we try to make good things to our churh. It's not going to be any good things coming out of this decision. ዉሃ ቢወቅጡት እንቦጭ አሉ አሁን ምንየሚሉት ዉሳኔ ነው የተወሰነው በፊለፊት የመጡትን ተሀድሶዎች ተቃዉመው በሌላበኩል ግንአይናቸው ውስጥያለውን ጉድፍ ማየት የተሳናችው ነው የሆኑብኝ አቡነፋኑኤል እንዲህ አይንያፈጠጠ የተሀድሶ (የመገንጠል) ስራ እየሰሩ እየታየ ለዚያውም በፓትርያሪኩ ልዩ ትእዛዝ ነገርግን እርሳቸው ናቸው እንዲህ እንዳደርግ ያዘዙኝ ብለው ሳይፈሩ በድፍረት መናገራቸው ሳያንስ ባትርያሪኩ ግን ምንም አለማለታቸው የሆነ የታወቀና የተመከረበትን ነገር እንደሚሰሩነው የሚያሳየው ለዚያውስ ለምን ይሄን እንዳዘዙ ማን ደፍሮ ጠየቃቸው እርሳቸውም ቢሆን ይህንማንም እንደማይጠይቃቸው ጠንቅቀው ያወቁት ይመስላሉ ባንዱበኩል ጠግነው ባንዱበኩል ማፍረስ ነው የሆነብኝ ይሄ ስብሰባ አሁን ማንይሙት አቡነ ፋኑኤል መአዋሳ ህዝብላይ ያደረሱት በደልና የለየላቸው የተሀድሶ አራማጅነታቸው ተረስቶነው ወይስ ያሜሪካንን ህዝብ በተሀድሶነት እንዲያነቁ ታስቦለት ነው ለዚያውም የሚቀበላቸው ከተገኘ እንደው ለነገሩ ሲኖዶሱም ሆነ አጠቃላይ የቤተክህነት ሰዎች ስራቸው ምንሆነናነው የጀመሩትን (ያስያዙትን) አጀንዳ ሳይጨርሱና ብዙ በርጋታና በጥሞና ማየትያለባቸው ችግሮች እያሉ ሲፈልጉ እንደበቀደሙ ከግማሽ በላይ በጉባኤውላይ የሚቀሩትና ቶሎ ቶሎ ብለው ለመበተን የቸኮሉበት ነገር ነው ያልገባኝ ነው ወይስ ከቤተክርስትያን የተለየ ሌላስራ አለባቸው ነው ወይስ ብንወስነውም የታወቀነው በስራእንደማይተገበር ብለው ተስፋቆርጠው ነው ካልሆነ ታዲያ አቡነሳሙኤል ትናንትና ለምንሀውልቱ እንዳልተነሳ ሲጠይቁ ምነው እኒያ ሁሉ አባቶች ድምጻቸው ጠፋ ወይስ ሳያምኑበት ነው እንዲነሳ የጠየቁት ለነገሩማ ያምናው ዉሳኔያቸው ሳይተገበር ሲቀር አቅምአቸውን አውቀውነዋል እንደጸጉራሙ በግነው ነገሩ ሁሉ ለማን አቤት ይባላል እርሱባለቤቱ የቤተክርስትያን አምላክ ቸርነቱን ያድርግልን እንጅ እንደነርሱስ ሁኔታ ያሰጋል መጭው! This is a wake up call to everyone of us. One should ask him/herself Begziabehare Bete Eske Metche New Yemikeledew? This is the time that we E.O.T.C followers to stand together to eliminate those heretics from our church for last and for all. We have to be strong enough morethan ever to object the descission of abune paulos to asign abune fanuel in US. enough is enough. We have been patient for over 20 years .Now we have to have demonstration against abune fanuel like the "AWASA CHRISTIANS". USA yamenorawe meemanane kaHAWASSAW selatamara ABUNA FANUALE yasabobate ayedaresome. DC tafateno eneda warke yameabarabate geza ahone nawe.laewenate kakomeo abatoche gare becha enekomalane sela hayemanotachen. Seatu ahune new yetewachedo legoch bemenafk ? keakale betekersetyan enen yaskedemeng. Ok this did not come as surprise. Reassignments of Bishops is a canonical law so there is no objection on that. But in this particular case we have Abune Fanueal ,who with due diligence have broken the same canonical law which is required to be reserved and respected by all members of EOTC so under what spiritual and moral obligation does the Laity of DC and California diocese are required to accept this transfer ? Minew kidus sinodos????? hizeb selmaywedachew tekawumo yegtemachewal teblo tifat yeseral ende?? ende 1 enkuan yemineka abat yetfa ende?? hizebu yehenin yadergal kalachuma yenante mesbseb lemin asefelge tadiya wesanewun lehizb atetwutem neber yanin hulu tefat atfito mesheshgiyawun us yaderge papas endih yale shumet mesitet min yelutal? kebfitu yetshale atefa malet ayhonem aye anchi betkirstiyan letikim enji lehaymanot yemikom yetfa weyneeeeeeeeeeeee tewahedo. በመጀመሪያ የቅዱስ ሲኖዶስ ዉሳነ ይከበር።ምክንያቱም የአማሪካ ጳጳሳት ለጉባኢው መሃድ ነበረባቸው፡አንድ ጳጳስ በቅ ሲኖዶስ ስብሰባ የታወቀ ችግር ካላጋጠመው መቅረት የለበትም። እንዳይቀየሩ ነው የቀሩት።በትክክል እንፍረድ እንጂ።ዲሲን፤ኒውዮርክን አንድ ጳጳስ ብቻ እስከመጨረሻው ድርስ ይምርዋቸው እያላችሁ መሆኑን ይታወቃችሁዋል?በየተራ ሁሉም ጳጳስ ዉጩን ማየት ይፈልጋል።እነርሱ ላለመሃድ የማያደርጉት ጥረት የለምና እዚያው ዲሲ እስከ ዕለተ ሞታቸው ሊኖሩ ነው ማለት ነው?አቡነ ዮሰፍ ተቀየሩ ተበሉ ሲኖዶሱን አክብረው ከአውሮፓ ወደ ኢትዮጵያ ገቡ።አንዳንድ ብልጣብልጥ አባቶች ዉጭ መኖር ስለፈለጉ ብቻ በአቡነ ጳዉሎስ እያመካኙ በተ ክርስቲያንን መክፈል አያስፈልግም።አቡነ ፋኑዒል ይምጡና ይታዩ ከዚያ በሁዋላ ተቃዉሞዉም ድጋፉም ይደርሳል።ሰዉየው ከስህተታቸው ይመለሱ አይመለሱ በምን አወቃችሁ?ካልተመለሱ ለላ አባት እንዲሾም በስርዐት ሲኖዶሱን መጠየቅ ነው።የዉጮቹን አባቶች እንኩውን እንዲህ ብላቸዋቸው ይቅርና ሲኖዶሱ እንዳይቀዪራቸው ኢትዮጵያ ባለመሐድ ድብብቆሽ ጨዋታ ነው የያዙት።ስለዚህ ሁላችን አቅማችንን እንወቅ።ቢያንስ አቡነ ፋኑኢል ሲኖዶሱን አክብረው በግንባር ተገኝተዋል።ፓትሪያርኩ እዝዘውኝ ነው ብለው እዉነቱን ሳይፈሩ ተናግረዋል::ተሃድሶ ዙሪያ ሲኖዶሱ ይመርምራቸው እንጂ እኛ ማነንና ነው ፍርድ ሰጭዎች የምንሆነው? Dear orthdoxwyan, if it is true that Aba Fanuel is coming to USA we have to hold hand in hand and stand aginst him. 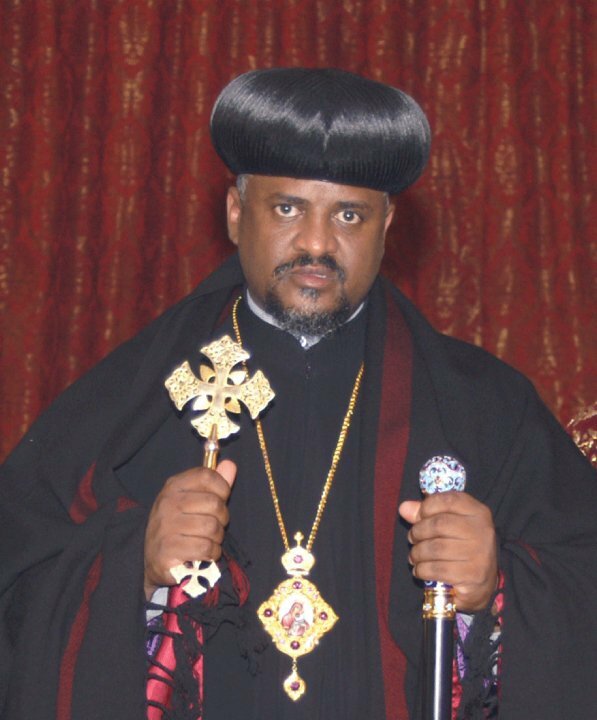 This bishop is gonna kill the rivival of EOTC in US.He will bring all the tehadiso servants including begashaw;etc...So, let us show him we are ready to pay any price to protect EOTC from any pro-tadiso person or mahber as Awassa mimenan did.
" ውጭ ጉዳይ መምሪያ ሆኖ ያለ ቅዱስ ሲኖዶስ ዕውቅና የተቋቋመው “የውጭ ጉዳይ ተጠሪ ጽ/ቤት” አገልግሎቱና ጥቅሙ በሚገባ ተመርምሮ በሦስቱ አህጉረ ስብከት ሊቃነ ጳጳሳት ሥር እንደ አንድ የመረጃ ክፍል ሆኖ እንዲዋቀር፣ ይህ ካልሆነ ግን እንዲዘጋ ቅዱስ ሲኖዶስ ወሰነ" ደጀ ሰላም ጥቅምት 20/ 2004 ............ ዛሬ ደግሞ ከአንድ ቀን በኃላ ......." ቅ/ሲኖዶስ ቀኖና ቤተ ክርስቲያንን በመጣስ በምልአተ ጉባኤው የተገሠጹትን አቡነ ፋኑኤልን ለአሜሪካ ሾመ"
እኔ የምለው ... እንዴት እንዲህ ሊሆን ይችላል? ትላንት የተውሰነውን ዛሬ ማን ሻረው? ወይንስ የተላንቱ የደጀ ሰላም ምኞት ነበር? ምንድን ነው ተደናግሮ ማደናገር? There was a rumor that he was going to come back to the US. What I do not understand is that he was here before and he did not get acceptance by any of the churches. There is no way he will be uniting us except divide us. Saint Michaels Me-emnan need to wake up and ensure he is not staying there as a new appointee to the SD and use it to get his way. እውነት እና ንጋት … እንዲሉ ዛሬ ለሁለቱ ሃገረ ስብከት ተሾሙ ተብሎ በደጀ ሰላም ሳነብ መጀመሪያ ብዙ አለቀስኩ ፤ ቀጥሎ ብዙ ሳኩኝ ለምን ይዋሻል እያልኩ፡፡ ጳጳሱ ከዋሸ ማን ቃለ ምዕዳን ይሰጠናል፡፡ ማን ይፍታህ ይለናል …. እረ አምላኬ ሆይ ጠፋን ድረስልን … ኡ ኡ ኡ ኡ ኡ … ማን ይስማን …. ልጆችህ ተበትነን አለቅን እኮ …. ቤተክርስቲያንን ውሾች ከበቧት እኮ …. እግዚኦ ….. የራሔልን እንባ የተመለከትክ ተመልከተን አንጂ …. There must be some unknow cofusion made inside the Synod. I do not believe the decision at all. Abune Abraham or Abune Aoustatios must not me removed at all. We will call the Awasa jegnoch here to straighten this up. This is it, erkuset Mekdes laye komo stay ambabiw yastewel malet yeh new. Are you happy on this evil situation go ahead enjoy it, but as one member of EOTC, I am totaly diappointed. I am surprised by most of the comments. you are crying But you don't know why you cry.If you are true christian why don't you involve in protecting the church in every aspect not crying on the transfer of fathers from one coutry to the other, but focus on the main issue. be strong! sewhun! "enaten yageba abate new yetebalew kelidi tize alegn" but when it comes to Fanual he will never lead in california area. we will do everything to reject his leadership. please make it right for your own marcy not for others. i don't think we leave forever it is 60 or 70 the mix so why you are trying to destroy our faith? bitsu abune Marikos you know everything what happen to us. why would you do something about this? please we don't need another division. please would someone stand for our church not for their interest? gobezi enasibibet mebetatenachin new . "under what spiritual and moral obligation does the Laity of DC and California diocese are required to accept this transfer ?" the answer is because the highest authority of the church (Holy Synod" decided. If you remember from the 1st Holy Synod, which was held in Jerusalem in the first century, the Holy Spirit was there with our holy fathers and is with our holy fathers now. Please accept this reality. Do not judge our fathers by their weakness and revoke their legitimacy. Kidus dawit "abetu wushoch kebewugnalina adinegn" ale zare new gena yezih tirgumu yegebagn, ebakachihu miemenan tenkiren kidistitun yegziabher bet kewushoch enadinat, kezih belay menorachin minachin new? kezih belay min limeta new?............ 'abune' Fanuel??????????????????? lemin ayzegutim neber? tiwlidachinin liyatefu eko new, nege man endih yemikorekor meseleh, 'a.' fanuel be enkirdad moltot, yichi dej Yodit guditim alzegachat bezan enji, lesew yimsel siwtereteru yitayu enji keman ga endemiwagu silalaweku new, mognoch, getahoy kegna ga yalutin yayu zend aynochachewun kifet. memot yishalal!!! !.be strong every body!!!! The two bishops of America should have gone to the Holy Synod meeting so that they would tell and show what they had been doing until now and what they planned to do in the future. All of us can be witnesses about our fathers, as they have done outstanding jobs since the inception of their arrival. I don't think the entire members of the Holy Synod know about the growth of America's dioceses and the strive of its people to be united. The uttermost effort of Abune Abraham and Abune Ewstateos was very fruitful. I wish the Holy Synod would have a spare time to reconsider the decision. Finally I would like to say that we have to be brave and talent enough to protect our Church by praying and discerning. Here is the truth i think people don't need Aba Fanual to serve in Ethiopia because what he have done in Awassa so the only way they can get rid of him is sending him to united states. we have to do something before he comes and destroy us. Oops...... MAY "GOD" help aboune poulos to get back to the real spiritual status . Let us unit and take the necessary action from our side. God will not let all of us down. He will protect us as He was doing in the past. We ned to take a lesson from the past action. This is not from Abune Powlos but is from the Government (Meles Zenawi). Meles wants to instigate division and hater to divert attention. We should not allow the 100 year homwork (once Eritrean President said)to work on us. Meles is doing an evil job to servive in power. But we are not yet wake up even after 20 years. Our church main problem is not with the Synode rather it is with Woyanie. Let us prey and at the same time take the necessary action required from us. This is the hardest time.We shall be united and think criticaly. abune fanuel us liqe papas???? ayyy ye usa miemen ke abba paulos le abba fauel asrat honachihu tisetu??? Yes removing a Bishop is not illegal according to the Canon only as far as I know, and I don't know much. However, the attempt to remove Abune Abrham from Washington DC is seen by the majority of clergy and laity of his diocese to be unacceptable. It can be seen on this blog response as well. There are a few comments made on this topic supporting his removal, but I can guarantee they do not have true information about Abune Abrham, all they have are accussations. I don't want to get into details because it will be too long. The reasons given in the attempt to remove Abuna Abrham are not in my humble opinion sufficient, especially since he teaches correct Tewahedo faith/dogma and following Church canon law. I have been a member of St. Teklehaymanot since it was founded a couple of years ago, so my testimony is from hearing, seeing and feeling the work of Abuna Abrham. If he is removed, dare I say, it is the result of human manipulation and this is the work of Catholicism. I will not list the details of Abune Abrhams contributions to his diocese. I can only state he loved his diocese and this is evident because he stayed true to his mission of teaching correct dogma and church cannon. 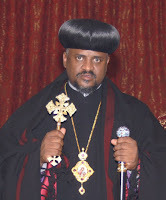 Abune Abrham recently spoke out against Abune Fanuel for violating his diocese, mainly by consecrating a church, and preforming other spiritual services in another Bishops diocese with out approval from the appointed Bishop. Did our fathers discuss this? I don't know, if so why hasn't Abune Fanuel received punishment for his actions, he clearly violated church cannon. I am finished. One last thing. What I learned from this event is this: we have no control over our Church. Bishops, monks, priest, deacons, laity, individually and as whole churches (churches not under holy synod) have been violating the dogma and canon law right under our noses all these years. Perhaps in Ethiopia steps we taken to counter the violations, but how about in the diaspora? Ask yourself what have you done? There is a saying that it gets real dark before the light starts to come out. This event if it does end up being true is the darkest. But it I look forward to the light, the truth is being exposed now, when the light comes the faithful will be able to see the truth, they will be able to separate the wolves from among the flock. As a result of this news, I feel it is extremely dark right now, but more importantly I am starting to sense a bit of the truth which is the evil within our Church will not stop at nothing. The only people who are happy about this result are workers of this evil. This is not personal, its not about trying to defend a Bishop, Abune Abrham out of reverence, its about defense of Faith and Church Canon Law, which has been what he preached and did. His Grace is carrying out his mission of his Bishopry, staying true to his calling. I just worry about myself, what have I done, and what am I going to do in light of these recent revelations. ተዋቸው አባ ፋኑኤል ይምጡ:: ከአሁን በፊትም እኮ መጥተው ሳይሳካላቸው ነው የተመለሱት አይደል:: ከብዙያልተሳካ ምደባ በኋላ እኮ ሱባኤ ይዘው አገልግሎቴን አሳምረው በሄድኩበት ቀና አገልግሎት አበረክት ዘንድ ብለው እኮ አይደለም የሚመጡት፣ አመጣጣቸው በሰሜን አሜሪካ ከጥንቱ እሳቸው ሲከፍሉ አሁንም በቤተ ክርስቲያን ውስጥ ሁነው የጀመሩትን መክፈል ሊቀጥሉ ነው እና መጥተውም ከዚህ የተሻለ ሥራ አይሰሩም:: እኛ ግን የቤተ ክርስቲያን በመሆን ስለምንቀድማቸው ከተጻፈው የቤተ ክርስቲያናችን አካሄድ ውጭ እሄዳለሁ ካሉ ጉዳዩን በፌደራል ፍርድቤት እንወስደዋለን ከአሁን በፊት እኮ የቤተ ክርስቲያናችሁ ህግ ምን ይላል ብሎ የየኒው ዮርክ ፍርድ ቤት ከዚህ ዓለም በሞ ት የተለዩ ትን አቡነ ይስሃቅ ዘአሜሪካን ከህነት ሁሉ አግዶት ነበር:: ይልቅስ አቡነ ፋኑኤል ከልማደኛው አቡነ ጳውሎስ እና አቡነ ገሪማ ጋ ተመሳጥረው ቪዛ እንዳይነግዱ ( Human trafficking) እንዳያደርጉና ሀገሪቱን በመናፍቃን እንዳያጥለቀልቁ ተባባሪ የምትሆኑ ተጠንቀቁ ጥቆማውን ለዚህ አገር ኢሚግሬሽን እንደምናደርሰው እንድታዉቁ:: አባ ፋኑኤል በሄዱበት መጠላትዎን ሱባኤ ይያዙበት ካልሆነ ሚካኤልም ገና ያልተጣራ ችግር አለና ማረፊያም እንዳያጡ:: ምእመናን ግን ተስፋ መቁረጥ የለም እሳቸው የቤተ ክርስቲያን ሳይሆኑ ነበርን አሁንም ሳይሆኑ እኛ ግን የቤተ ክርስቲያን ነን:: እሳቸው የማን እንደሆኑ ያውቁታል:: ዋናው ችግራችን ግን አሁንም አባ ጳውሎስ ናቸው ለምን በቃ አይባሉም በቃቸው ከገንዘብ ገንዘብ አላቸው ይልቀቁን ገንዘቡን የተዘረፍነው ይበቃል ኃይማኖ ታችንን አያዘርፉን :: እርስዎ በገንዘብ የተማመኗቸውን እኛ ደግሞ በሞቱ የገዛንን እናምናለን:: አሁን ግን በተዋህዶ ላይ መቀለድ ይቁም :: አባ ጳውሎስ must goooo!!!!!! DC ENA GERMANY TSENATONE YESETTACHOHE. You members of EOTC living in USA please be ready to protect our church from the messengers of Satan. Whatever the decision is your mission in your life is keeping your unity and the peace of your church. Hope that you are ready to dismantled the coming new strategy of Menafican through Fanuel. Abune Fanuel is a messenger of Satan. He is not representing our Church. I doubt by the decision of the Kidus synod. He might get this chance from his BIG DAD. What in the world????? Abune Abreham did all the hard works to be where we are. Why His Hollyness work doesn's count as a big deal. If you all send Abune Fanuel, I will quit my school and fight for One Tewahedo!! If He comes here, it is oing to be a huge mess!! This is for real! eskei lelawato yechelalo belane enaseb. yaabatochachen Amelake yeradanale ara anedanagate enetsaley enje. So, what we shall do next dear brothers and sisters...? i am tatolly agree with the very first comment. that is the end of the diaspora people unless we united and forget about our fathers.May God with all of us and with our beloved churches and Tewahedo Faith. I guess We have nothing to fear unless we are afraid of love. Love can change everything. even the heart of un belivers. Our hearts have power to change darkness to light, evil to good. That we can open your heart to love all and everyone, and be loved by everyone becouse God is Love. Pray . In The name of The Father and The Son and The Holy Gost One God! Amen! I think the comming of Abune Fanueal to DC is the work of The Almighty God for the betterment of the church as a whole.The Orthodox Church, especially that of Awassa will be in peace. Being responsible here to unite the church and run its affairs, he will be tested and forced to reap and eat the bitter fruit of what he planted longtime in DC.I hope he will learn from his mistake and try harder armed with peace, love and the truth to correct his privious mistakes and embrace every member of the church and bless us with his Holy Cross. Let us well come,love and respect Abune Fanueal,I am definatly sure he will do the same.Lets work with him together to unite the churche.If he rejects our offering, we are free and with a clear concious we stand firm with the teaching of our church and oppose anybody who comes against it. Lets give him a second chanse. Lets forgive each other and work together in peace. If we believers unite with love and peace the church is in deed one and full of love. The Lord Jesus Chirist it with us. We are the church, you and me. Lets pray. Lets do our part right and leave the rest to The Almighty God.The Almighty God is the One Who can unit and prosper The One Church,The Orthodox Tewahedo Church.Lets fight the spiritual war with the right spiritual armaments. I love and respect Abune Abraham and appreciate for his dedication to unite the church and strictly follow the churche's rules and principles.I pray for his well being and success.Whereever he goes,he will always be in our heart. Thank you Abune Abraham! My dream is to see the two fathers shaking their hands with sincier smile; exchange the duties and rsponsibilities in love and peace. God Bless us all! Amen! Dear the true christians!! !be courious frist each of us ask our self what i did for god to resive the true father?I'AM sure this is our " hateyate" ENKWANENA LEBETU??????????????????????? ?we have to clear our hateyate first enc me and GOD w'll be done oll problems...bechrntu yemaren amen !amen! የቅዱስ ሲኖዶስ አባላት በአምና ስብሰባቸው ወቅት ምን ወስነው እንደነበርና ስንቱስ ተፈጻሚ እንደሆነ እራሳቸውን ጠይቀው ይሆን? ጠይቀው ከሆነ ያገኙት መልስ ምን ይሆን? ውሳኔያቸውማ ከወረቀት ነብርነት እንዳላለፈ ዘንግተውት እንኳ ቢሆን ያ አስቀያሚ የፈርዖን ሃውልት አሁንም ተገትሮ እንዳለ ነው። ሌላ ሌላውንስ መሸፋፈን ይቻል ይሆናል።ሃውልቱን ግን እግዚአብሔር ከሰማይ ቁጣ አውርዶ መሬት ተከፍታ ካልዋጠችው በስተቀር እዚያው እንደተገተረ ነው ያለው። የሰሞኑ ደግሞ ያሁኑ ይባስ የሚያስብል ነው። በሰሜን አሜሪካ ቤተክርቲያናትን በማንደድ ላይ ባለው እሳት ላይ ጋዝ ጨምሮ የበለጠ እንዲነድ ማድረግ ካልሆነ። የአቡነ አብርሃም ጥፋት ምንድነው? አዳዲስ ቤተክርስቲያናትን በየቦታው እንዲተከሉ ማድረግ?እየተጣሰ ያለውን የቤተክርስቲያን ስርዓት ለማስከበር መሞከር?የሲኖዶሱ ተሳታፊ አባቶች እያረግን ያለነው አምነንበት ሳይሆን እንደአምናው ቡጢና እርግጫ ሳይከተለን አድርጉ የተባልነውን እያደረግን ያለነው ቢሉን እንኳ የተሻለ ይሆን ነበር። የጥንቶቹ አባቶችማ ጡጫ ብቻ ሳይሆን ለሃይማኖታቸው አንገታቸውንም ለሰይፍ ይሰጡ ነበር። ፍርድ አዋቂው ሃያሉ እግዚአብሔር እሱ ይፍረደን እንጂ ሌላ ምን ይባላል? enem eko betam wusten tiyake yemimolaw ye 'abune' pawlos neger new ende genzebachinin zerefun alfew terfew betechristianin lemiyafersu hulu ke egziabher bet wesdew lemestet deferu, yih hulu lemin aybekachewum? mechem haimanot feligew endalhone gilts new, ende meche libelut new aybekawotim ende? le gorebet hulu hummer megzat feligew new ende? yam bihon yibekal. ena ebakwotin elay honew afrash tat(finger) belayachin ayishumubin, yegziabher tatoch wederso endemimeta endet tefawo? gizew yeniseha new niseha yigbuna yegziabherin bet bekidisina lemiyagelegilu yistu ebakwotin ebakwotin ebakwotin, silemiwedut neger hulu sil eleminwotalehu, mechem silemariam bil aysemugnim biye new ebakwotin bezemenwo befikir aynwotin bemitlubet neger hulu lileminot, endet begna zemen betechristian tikefel?, abatochs min yilalu, Teklyes ayaznum? ebakwotin egrwot lay wedke eleminwotalehu libe be haimanote fikir nedalechina atasatugn, hiwoten destayen yemenoren tesfa atasatugn. "for the first time i wish to kill my self in stead of to see this, are u joking????" Birile, you started out good but I know you do not know anything about Bitsu Abba Abrham, you speak as if you know him well, talking about you will miss him and all that, you don't even know how to spell his grace's name. I want you to know Bitsu Abba Abrham is the light of Washington DC & Its Surrounds. There are many things wrong about your message according to my eyes, so I will leave you with this last comment, with regards to your comment about praying for Bitsue Abba Abrham, you reminded me of the saying, "Lej lenatwa met astemarech...a baby taught her mother how to give birth.." I do feel pity for you brother or sister, next time you write please pray about it first...and write only about things you know about first hand. You will be held accountable for every word. This is so different than as usuall St.Synoud do mistakes!!! It has to be stop such games in our Church no more! Lets(U.S.Ethiopian Orthodox Tewahedo Chilldren)start our first job not allowed Abune fanual's substitutions!!! Even I'm in Chicago I will do the best I can reach all and sharing informations to the memebers(the area). Let God keep our church safe!!!
" Awezagabiw Abune Fanuel" with his protestanti group including Serek, Getachew Done, Begashaw, Yared, etc send America and Creat another problem there. Peace; Thanks for your comment. I will pray before I forward any comment and hambly ask you to remember me in your prayer. I appologize if I have offended anybody in my previous comment. Peace; I don't understand your criticism on the way I wrote the name of Abune Abraham. That is the name everybody is using. What makes it different when it comes to me? See your comment of Nov.3/2011, at 5:01 PM, you used the same name. But your mistake is worse now, for you are judged by your own judgement. God forgive us all! Amen! I didn't say that I will teach how to pray but will pray for Bitsuenetachew's well being and success for this the only spiritual power that I have and this is waht The Lord Jesus told me to do. Yes I am a waeked person, I do say this not to humble myself but it is true I am; but even then I believe my Loving Father in Heaven will accept my prayer.I have been remembering him in my Wudassie Maryam prayer and will continue to do so for I love and respect Bitsuenetachewn. Saint Paul has thought us when he asked the laity to pray for him and for the prosper of the Church(The Good News).If Saint Paul asked his Children in Christ to pray for him and all apostles of Jusus Christ, what is wrong if I pray to our Fathers in Christ.Lets pray for each other, lets forgive each other and love one another.This what we need, especially now. I still firmly stand with my first opinion. Abune Fabueal has been here for so long,if we assume the worest, God forbieds,he is not going to do anything new that he hadn't done before. But if like I said earlier, give him a second chance, love and respect and whatever assistance he needs to unite the church and guard its teaching,he will embrace it.Why wouldn't he. This is what he needs, lets give him and we all be winers.Love wines!If he is not accepted here, he will be outraged more and when he goes back home we may probably have another Awasa's like problem somewhere. Who knows the group who needs his immidiate assistance can exploit him more?Things will get worse. But here nothing new will happen for he has been here before.If we think of the whole church especially of the church at home,his coming here is a blessing. Birile, have you noticed from peoples comments that there are questions surrounding the faith, and character of Abune Fanuel? If I will talk about what I know, Abune Fanuel clearly disobeyed Cannon Law which states that a Bishop cannot violate another Bishop's diocese by consecrating churches, and other spiritual deeds, which Abune Fanuel clearly preformed. So you as a Tewahedo Christian will accept this Bishop with open arms?, with out any questions, sorry not I. What will happen will happen, but the time to be naive about things is not now, in these times, being naive (yeweha) will land you straight into the wolf's mouth. Bitsue Abba Abrham has do nothing but follow Tewahedo faith and church cannon. He served the laity, his children, by serving as deacon, priest and bishop with humility, just as a Bishop aught to. I know Birile you will agree, if not it does nt matter, it will not be easy to accept the abrupt removal of Bitsue Abba Abrham with out testifying his deeds. God will ultimately judge everyone. Peace; You are right about Bitsue Abune Abraham. I am a living witness about what he has been doing since his assignment in DC. I have seen him doing his best to unite the church and guard its teaching. I have seen him performing as a bishop,prist,diacon, carpenter,cleaner and a lot. He is a humble servant.That is why I respect and love him.He is in deed a living example of what a true shepherd is. I am not happy that he is ordered to leave us. Truely I am sad.However if it is the decision of The Holy Sinod, let it be. I beleive the Holy Sinod is the highst organ of the church and this is what I have been thought through.Let the Will of The Almighty God Prevail!Who knows why? Who knows, the Harerge liaty may are in need of a Bishope like Bitsuenetachew more than we do? Probably we haven't make use of Abune Abraham to his potential when he was ready to humbly serve us. The whole church may be better of because of this assignment. There are a lot of questions that we can raise,but the fact the matter The Holy Sinod's decision remain the same. Therefore, given the Holy Sinod's decision, what is the best way that the church can benefit out of this new assignment? If the decision is final,and Bitsue Abune Abraham is given a letter to hand over the duties and responsibilities to Bitsue Abune Fanueal; wouldn't it be Christ like if Abune Abraham welcomed him with warm greetings, as if Abune Fanuel hasn't done anything wrong in his diocise.The World will see and witness that Bitsue Abune Abraham is in deed a true light spareked from the Greatest Light, The Lord Jesus Christ. We have to be driven buy love and the life giving teaching of our Lord Jesus Christ.Love always wins!Truth is always victorious!We are in a spiritual war, lets fight armed with the right spiritual armaments!